Are you looking for a special and peaceful place to enjoy the beautiful landscape and relax yourself all by yourself during your long trip? 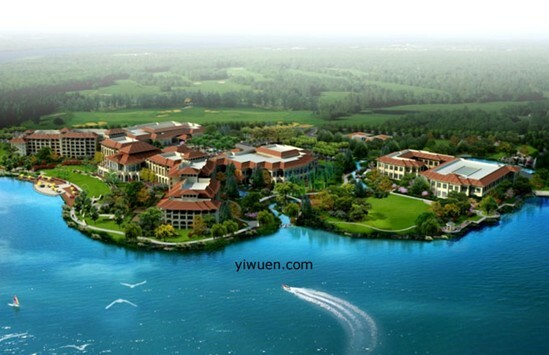 So come to Yiwu Your World International Conference Center, and you will soon find you make a nice choice. Your World International Conference Center is located in No.100 Xingfuhu Road, Yiwu City, Zhejiang Province, China. It is closely connect with Xingfu Reservoir. The quiet environment and beautiful landscape over there always show a special mood. When you are first come Your World International Conference Center, you will attract by the beautiful hotel design. And you will feel like it is just like your own home. It is beautiful and comfortable. Along the road, the board road, and the greening trees and flowers bring you new fresh air, and fresh mood. Your World International Conference Center is mainly consisting of hotel main building and the VIP suite. The main building has six stories, it owns 376 rooms, and all the rooms are equipped with open style balconies. It is very convenient to view the beautiful lakes and overlook the landscaped gardens; you would also enjoy a breath of fresh air. Your World International Conference Center owns Chinese and Western dining hall, and the Chinese restaurant is serviced 24 hours. The elegance and comfortable Lobby bar and South Africa bar and etc can meet different customers’ needs. Your World International Conference Center is full of the necessary equipments, it not only has main function dinning hall, but also has banquet hall and terrace classroom and many others kinds of meeting room. What’s more, it also equipped with high-tech telecom equipment and other professional meeting rooms. 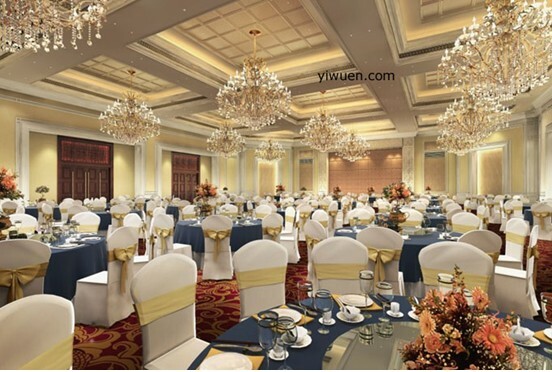 Your World International Conference Center also provide some entertainment equipment, like indoor and outdoor tennis court, gym, billiard rooms, Ping pong rooms, SPA and so many others. There is no wonder that Your World International Conference Center is the best resort for your trip or your business in Yiwu City. Your World International Conference Center is of nice environment and elegant taste. It is a nice place for you to enjoy your holiday. What are you waiting for, just feel free to contact us, and we will give you the latest and fastest news of Your World International Conference Center.